Our beauty philosophy is that healthy, glowing skin is a lifestyle. Welcome to Magda’s Skin Care Clinic – a specialized, European focused skin care clinic in the Orlando marketplace. We are an intimate, boutique spa nestled in the heart of the Winter Park, Florida. 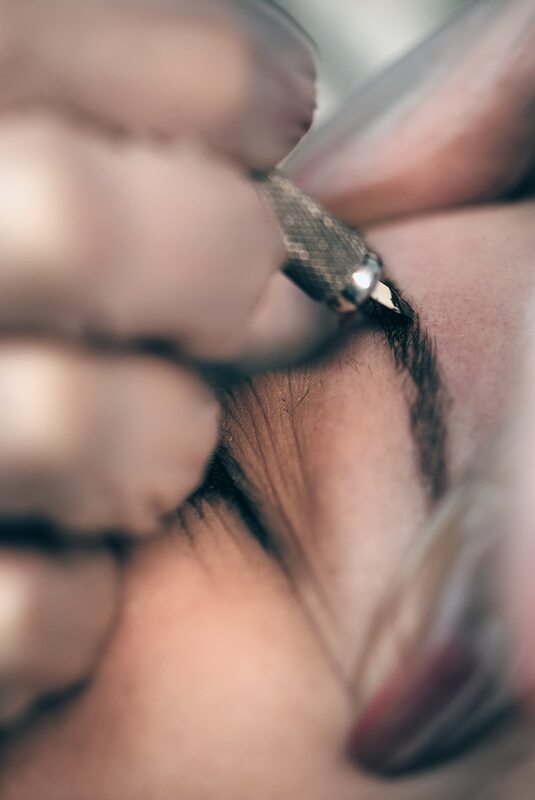 Magda’s is recognized as an elite salon with a unique approach to skincare renewal and permanent makeup. Our commitment to providing excellence in personal beauty keeps us focused on the forefront of the newest skincare technologies and advancements. Praised for giving clients a flawless, radiant, no make-up look, our beauty care specialists provide a program designed for long-term skin maintenance. I have been going to Magda for years for many different procedures. I have always been very pleased. I have enjoyed facials & various treatments for many years. Marina is one of the finest Skincare Professionals I have ever encountered! She is very skilled and you can have confidence in her recommendations! I am so happy with my eyebrow microblading. It was the best decision I've made! Marina is wonderful and definitely is a professional. Could not be happier!!! Feel Your Glow and Live Beautifully! Maintaining youthful, healthy skin is a lifetime commitment, not a quick fix. Preserving your skin is an ongoing process, just like eating healthy and staying physically fit. Our goal is to help you maintain your skin to ensure that it looks beautiful with a youthful, vibrant glow. results, we continue to break new ground in skin research and preservation by incorporating the most prestigious skin solutions to effectively re-energize and regenerate your skin. Our European trained beauty professionals will indulge your senses, south your spirit, and smooth your skin. We chose this exquisite, multi-faceted animal to be our mascot because we love the effortless beauty, resilience, and vitality the Peacock represents. In Greco-Roman mythology the Peacock tail has the “eyes” of the stars. In Hinduism, the Peacock is associated represents patience, kindness and luck. In Persia the Peacock is seen as a guardian to royalty. In Christianity the Peacock represents resurrection, renewal, and immortality within the spiritual teachings of Christianity. Themes of renewal are also linked to alchemical traditions too, as many schools of thought compare the resurrecting phoenix to the modern-day Peacock. The Peacock has also been linked as a deity; Legend tells there was a Goddess who could have been immortal but stayed because she wished to aid humanity in their spiritual evolution. When she decided to go to the heavens she appointed a guardian to keep the earth peaceful. She called a bird, with dull brown feathers, to her. She rubbed her face and brushed her hands down the length of its feathers, which created a kaleidoscope of colors and beautiful eyes on the end of each long feather. The Peacock feathers remind us to keep watch over our own compassion. It has also been said that the Peacock is the earthly manifestation of the phoenix. The feathers are talismans to protect the wearer from accidents, poisoning, diseases, and other disasters. For this reason the Peacock feather represents immortality. Peacock energy is a sacred symbol of the compassion and the integrity. The Peacock is a reminder to all of us to show our true colors.